Billings, Mont. 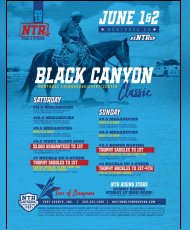 - The annual NTR Cowboy Christmas spanned four states and paid out more than half a million in cash and prizes. 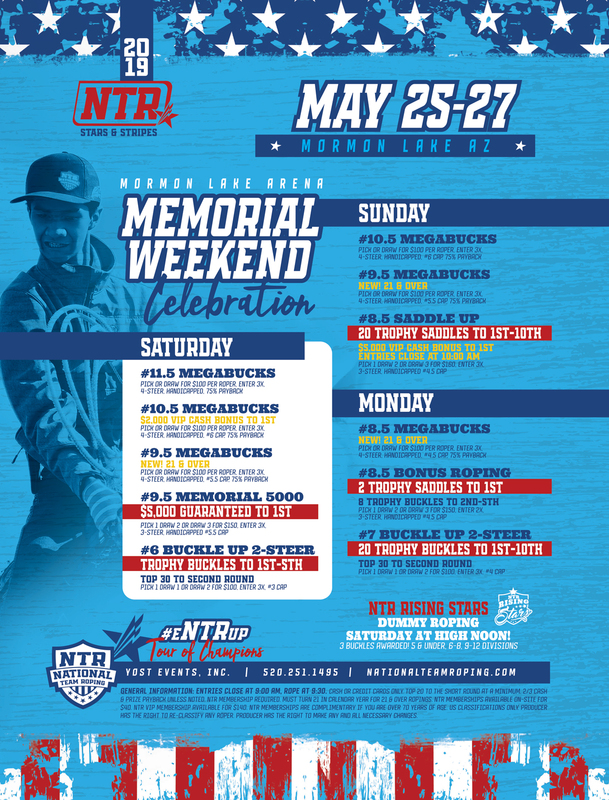 Events took place June 29 through July 1 in Mormon Lake, Ariz., and Rapid City, S.D., on June 30 and July 1 in Hamilton, Texas, and on July 4 in Buffalo, Wyo. 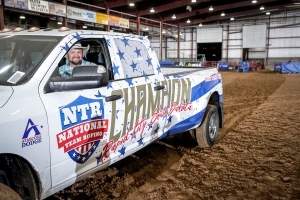 Chas Ophus of Watford City, N.D., drove home from the Central States Fairground in Rapid City with one of two Ram trucks awarded during Cowboy Christmas. Ophus owns and operates Rockin S Seamless Rain Gutters. He and his wife, Kory, have three kids, Judd, 4, Karter, 2, and Cruz, one month. 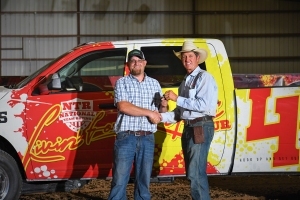 Austin Harris was the winner of the Ram 3500 at the Circle T Arena in Hamilton, Texas. The Hamilton Cowboy Christmas event doubled as a Livin’ for Ropin’ (L4R) Tour event. 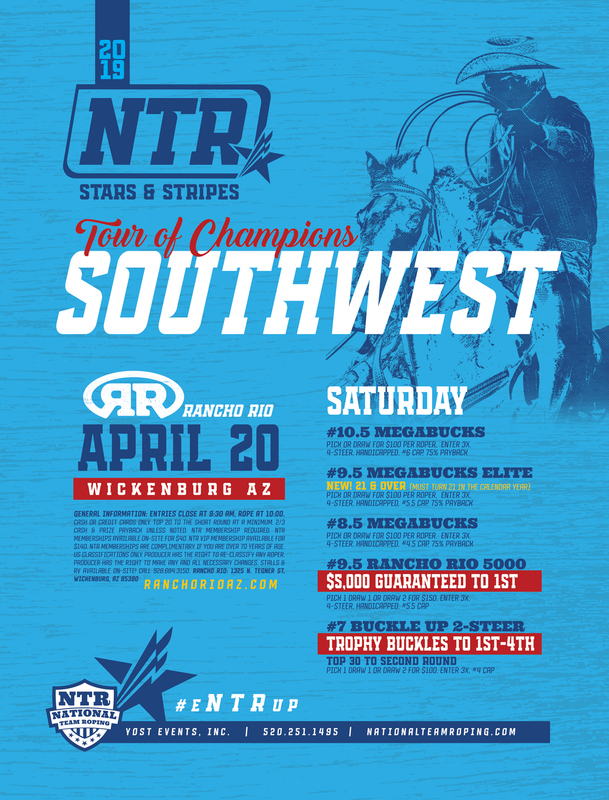 Presented by Cactus, L4R is a division of the NTR that offers simplified formats with big cash and prize payouts. Harris was certain that a leg in the short round had cost him winning the truck, so he went out back to unsaddle. 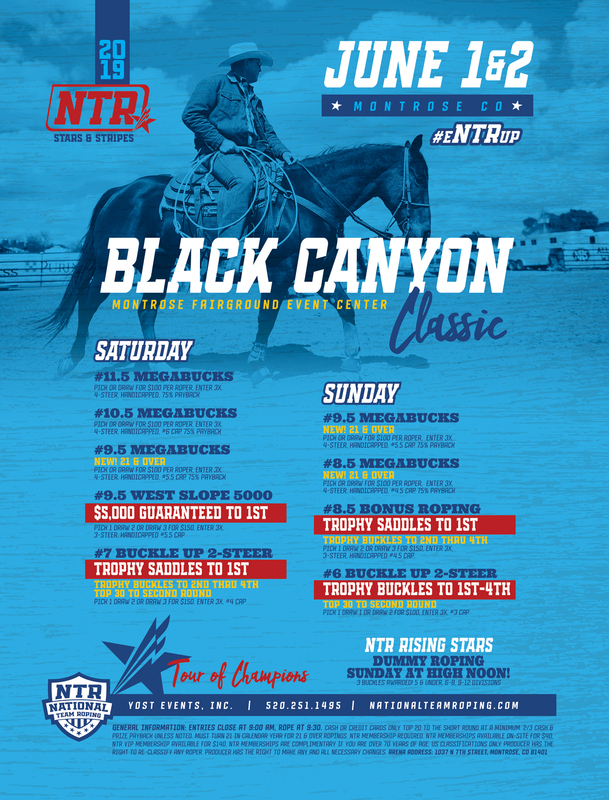 “I went back in to see if I had placed in the money and they had been waiting for me for 20 minutes.” While he didn’t win a check in the average he stayed good on points—which were awarded through 15 places—to take home his new L4R custom ride. 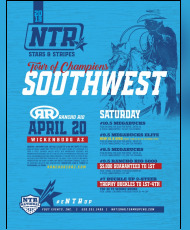 The NTR is in its fifth year of operation and holds their National Finals each year at Rancho Rio in Wickenburg, Ariz. 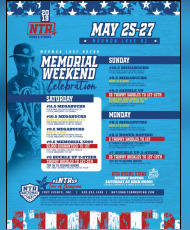 The 2019 NTR National Finals V will take place March 4-9.